MOSCOW, Russia -- Russian Prime Minister Dmitry Medvedev said Saturday that his government will adopt a "tough stance" if Ukraine defaults on its debt, which includes a $3 billion loan from Moscow. 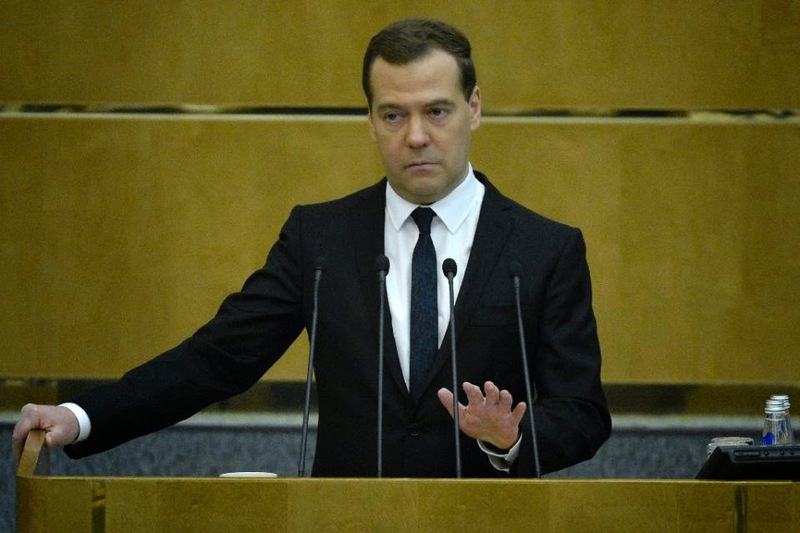 Russian Prime Minister Dmitry Medvedev takes a hard line on Ukraine's debt repayments. Speaking in an interview with state channel Rossiya, Medvedev said Ukraine's failure to repay its debt or a decision to freeze payments could prompt Russia to oppose new IMF loans to the country. The conflict with pro-Russia separatists in Ukraine's industrial east -- which Kiev blames on Moscow -- has greatly exacerbated economic difficulties in the former Soviet republic. Medvedev said recent steps by Kiev toward freezing debt payments are "looking like the denial by Bolsheviks to pay the debt of the tsarist government." "If indeed it will be done this way, that is undoubtedly a default by Ukraine," Medvedev said of the potential debt freeze. "That will influence the process of their negotiations with the International Monetary Fund. We will take a maximally tough stance in this case and will defend our national interests." Ukraine's parliament this week voted to give the government the right to delay repaying international creditors if necessary, leading to a furious reaction by Moscow, which is waiting for Kiev to repay a $3 billion loan by the end of the year. Moscow issued the loan in December 2013, just months before the collapse of the regime of ex-president Viktor Yanukovych, who fled to Russia in the wake of mass protests. Kiev's current pro-Western government is racing to agree a debt restructuring deal with its creditors before the next IMF board meeting in June. It is aiming to reach 15 billion euros ($16.5 billion) in savings in order to qualify for the next part of the IMF's $17.5 billion loan programme. But the talks have proven difficult, and Kiev last week criticised its creditors over what it said was a "lack of willingness to engage in negotiations." Medvedev reiterated that Russia "is not planning to restructure anything" and would oppose new IMF loans if Ukraine defaults. 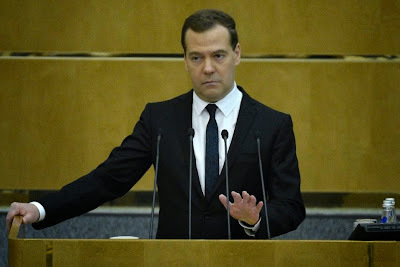 "We cannot block anything on our own... but naturally we will talk about it," Medvedev said, adding that the recent parliament vote in Ukraine "influences the position of other creditors and other members of the IMF." Ukraine received the first $5 billion under the IMF rescue programme in March and is under pressure from Western countries to reform its economy after years of mismanagement and corruption.